A 20-year Quebec study reveals socio-economic inequalities impact access to AIDS treatment despite universal health care. Quebecers do not have equal access to anti-retroviral treatment (ART) for HIV and AIDS, a long-term study undertaken by a team from the Research Institute of the McGill University Health Centre (RI-MUHC) in collaboration with clinics and university health centres in Montreal, has revealed. Researchers observed that HIV-infected persons who count on social assistance and other income security programs in Quebec do not have early access to ART due to their presumed lower socio-economic status. “This paper shows we need to take socio-economic factors into consideration when it comes to better controlling the HIV epidemic in Canada. People who are vulnerable economically may be put at greater risk because access to ART is delayed,” says study lead author Dr. Jean-Pierre Routy, a professor in the Dept. 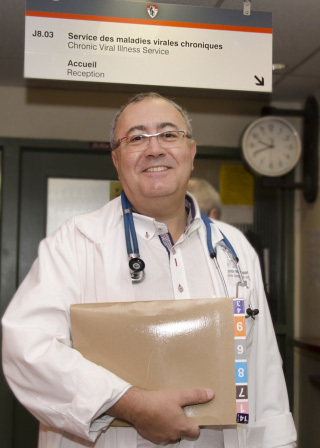 of Medicine, Division of Hematology, a senior scientist from the Infectious Diseases and Immunity in Global Health (IDIGH) Program at the RI-MUHC and a hematologist at the Chronic Viral Illness Service of the MUHC. “People who are unemployed and depend on income support are faced with tough daily decisions on how they use limited resources. Competing needs may lead to less capacity to engage in care and related expenses. This population needs aid,” explains Dr. Routy.